Woohoo!! 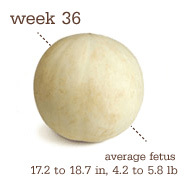 Baby reached full term this past week and is now the grand size of a wintermelon! 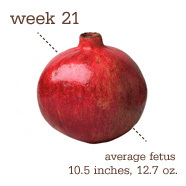 This means he/she is fully developed but is in a ‘refining’ stage and getting healthier, stronger and gaining about 1/2 an ounce per day and I should probably more freaked out by the melon comparison!! Okay so that’s that sorted. 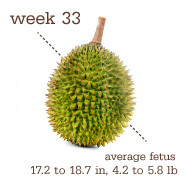 During week 33 babys bones were hardening more ( except the skull) and he/she was undergoing major brain development. I am so aware of how cramped it has gotten in there too some days the position can be very uncomfortable for me for a good few hours with my ribs being squashed and kicked! 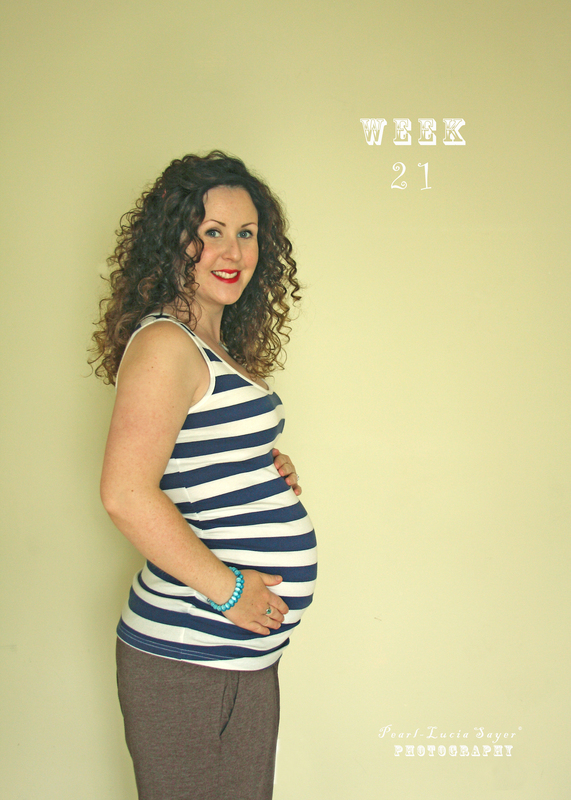 I can see my entire bump moving as well as feeling it now too, It’s not so obvious that Robin finally got to enjoy that one too! Very ‘Alien-like’ indeed. Overall I still feel good, but now my feet are so swollen that nearly all my shoes except my flip flops and Jesus sandals, don’t fit me right now. It’s annoying and uncomfortable and kinda gross. I miss my ankles but I know it’s not a permanent thing so I shouldn’t moan too much. 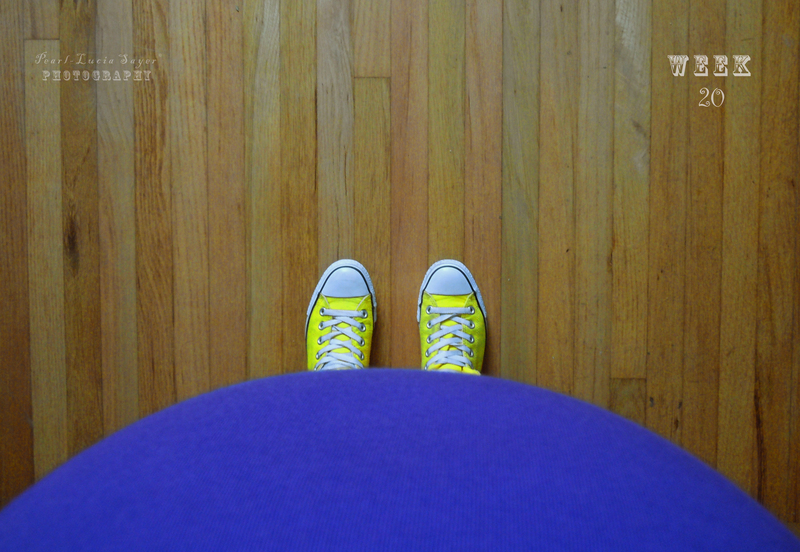 From reading up on Edema (swelling during pregnancy) I shouldn’t stand when I can sit or sit if I can lie down.. I need to follow this advice more..and have more Espsom Salt soaks! 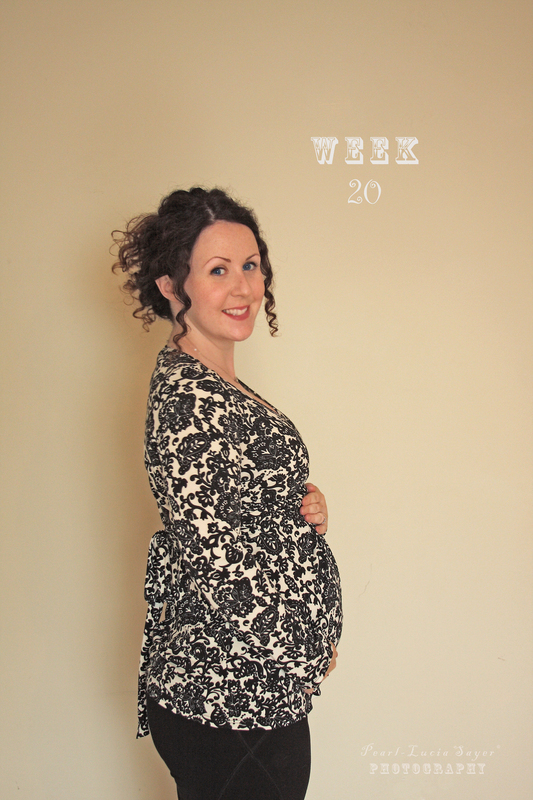 This week marked the beginning of my third trimester!! 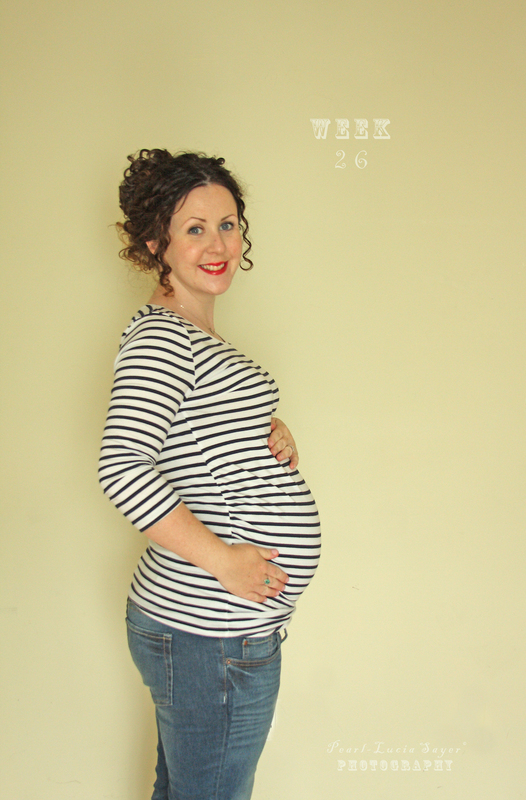 I have now entered the ‘home stretch’ of pregnancy YAY! 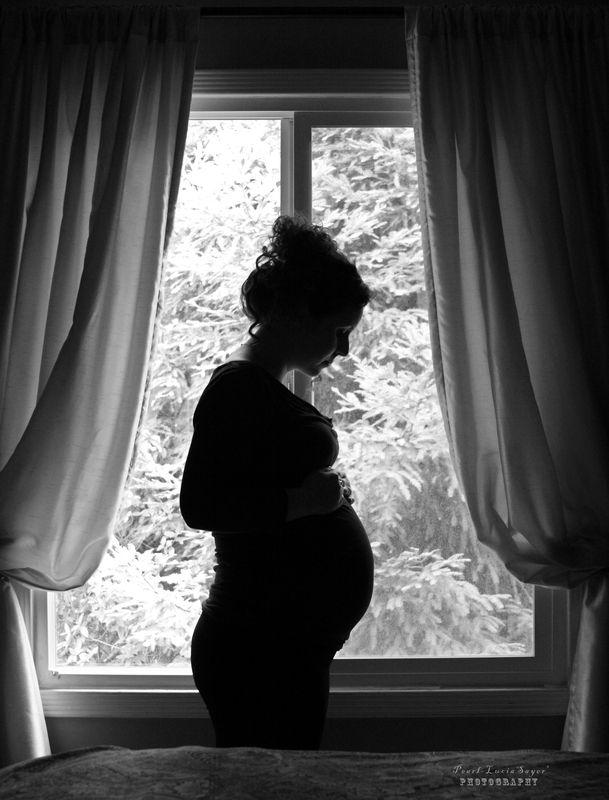 I really feel like the countdown has begun and the next 12 weeks are going to fly by..
All my reading sources say baby is just getting bigger and smarter from now until birth, aswell as developing more fat to smooth out that wrinkly skin and now sleep includes REM which means he/she could be dreaming already. Whatever about is hard to imagine! 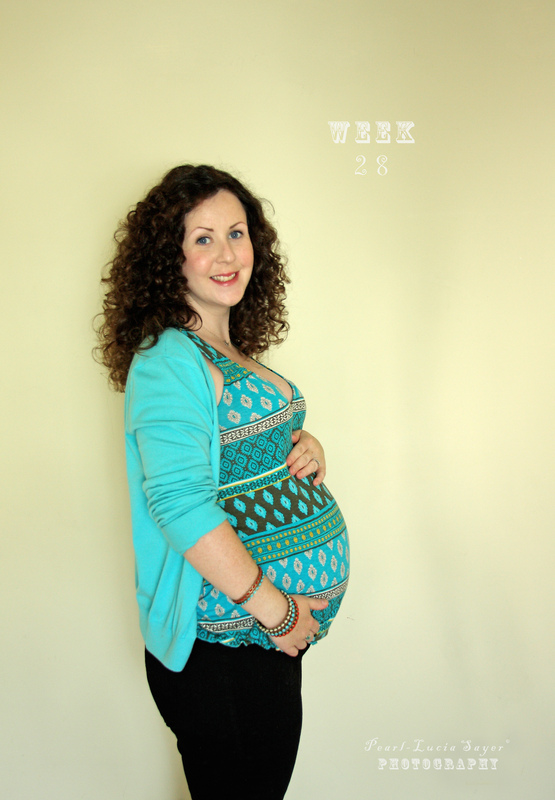 This week I felt pretty good again apart from feeling tired and needing the odd power nap, I was able to do all my regular activities without any niggling pains or twinges which was a relief. 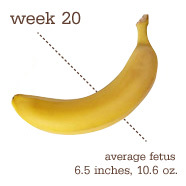 I had my monthly OB checkup and everything checked out okay. 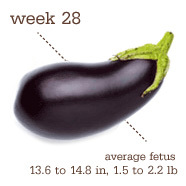 Baby seems to be average in size (judging by my tummies measurement!) and my weight gain is steadly on the up and up. This month I gained 4lbs, most of which I think happened in those two weeks where I wasn’t as active as normal due to round ligament pain. 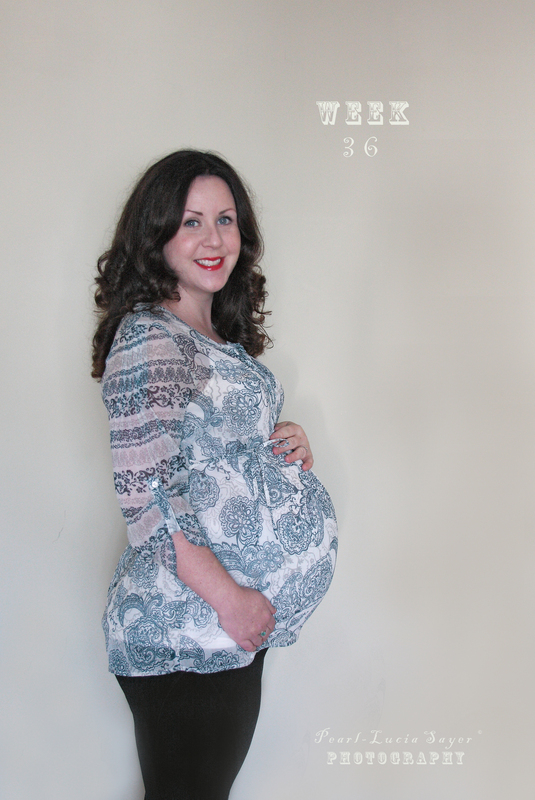 It definately was a growth spurt time and doc tells me I should just expect it to come and go. Project Nursery is still a work in progress. 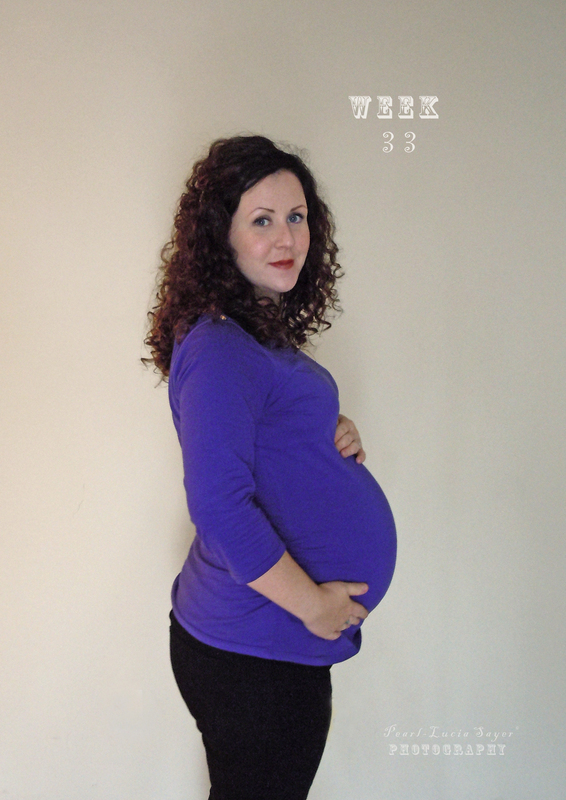 I think hitting the third trimester milestone has made me think about it again. At the moment we are on the lookout for a bassinet that will fit in our bedroom for those first few weeks / months and which buggy (or stroller as they call them here in the US) system to choose.